Secluded waterfront property with wharf and 2 moorings. Private north facing bay at the entrance to the Te Puna Inlet. 10 Acres of native bush provides a peaceful retreat. 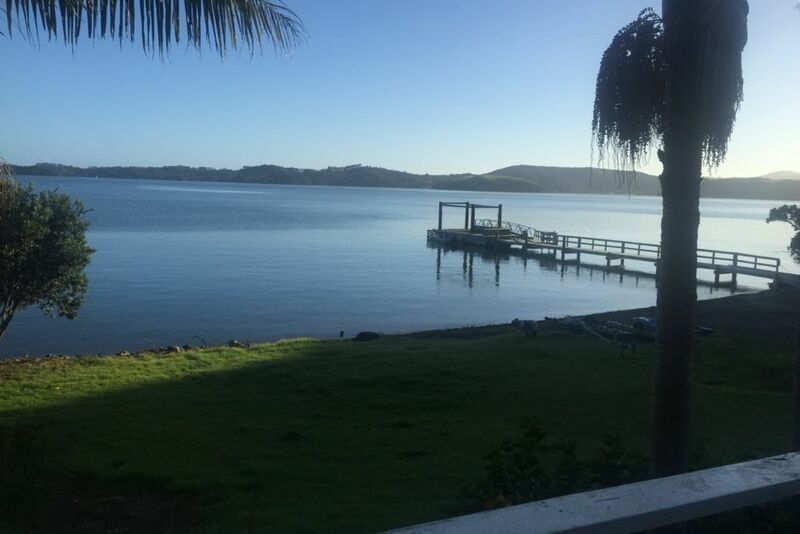 Still only 15 minutes from the famous Kerikeri Town centre. Boats can be launch by 4 wheels drive from the front lawn. Wharf is ideal for fishing. 4 fishing kayaks available and 2 smaller kayaks suitable for recreation use. Beach at your front door for water activities. Walk the local D.O.C. bush tracks. Visit our local vineyards, restaurants, beaches. You can do as much or as little as you would like to make your holiday memorable. We are in a kiwi zone so no dogs or cats please. Listen out at night you may hear the kiwis calling. Water activities Fishing, Kayaking etc. This place is basically your own a private resort, with untold activites. One day we were on kayaks exploring the bays around the peninsula, the next we were listening for kiwis at night while relaxing in the spa. Possibly the best kiwi Bach experience we’ve ever had. Everyone was blown away by how magical this place was. Highly recommended and the owners are very nice down to earth people. Thank you for your kind review. So pleased you had a wonderful holiday.